What is the cut of a diamond? Some of the most famous diamonds in the world have such a pleasant appearance, that not to admire their magnificence would be considered a sin. What makes diamonds so valuable is their beauty. Without the sparkle and shine one expects to see, a diamond will appear as just another nice looking gem stone. Granted, the color and clarity of the diamond are both major contributors to the brilliance, but the cut is precisely what changes the stone from a shimmer to shine. The four attributes of diamond quality, known as the 4Cs, are all of extreme importance. However, as the single attribute that man has the ability to perfect on his own, diamond cut must be done with patience and care. What is so amazing to consider, is the concentrated attention that someone must give to each and every stone. The cut of the stone is directly connected with all the other characteristics of quality. How the diamond is cut will influence the diamond carat weight. The geometric proportions will affect the diamond color. The art of polishing can even help rid of external blemishes and therefore naturally enhance the diamond clarity. No two roughs will be exactly identical. 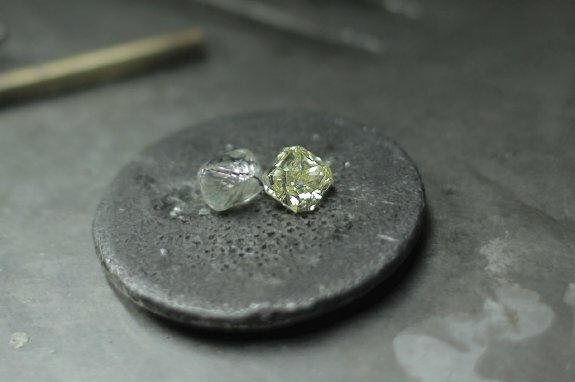 The theory of the diamond cut is the skill of how to derive the best finished product from any rough that is found. By definition, the cut is the prearranged faceted arrangements of the diamond. Since it is through the cut that the finished product is made, how professionally the faceted arrangement is created is referred to, in the industry, as the 'make' of the diamond. People often confuse the cut with the shape of a stone. However, even though one has what to do with the other, they are not at all the same. The diamond cut refers to the style used to form the stone regardless of the diamonds shape. The styles are different forms of symmetry, polish, and geometric proportioning between the diamonds many facets, otherwise known as the make. Any specific diamond shape can have more than one different diamond cuts. The styles are in every sense of the words both a science and an art. 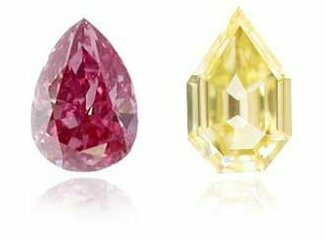 Learn more about the make of fancy colored diamonds. The cut of the diamond has much to do with the overall appearance of the stone. In fact, if a full certificate is supplied with the stone the cut grade is included within the many diamond characteristics. Along with all the various dimensions of the stone that are noted, the depth of the diamond plays a very significant role in the overall appearance. Learn more about the affect diamond cut has on the diamonds. In a colorless stone, since the objective is to remain as colorless as possible, the amount of time light remains within the stone must be condensed. 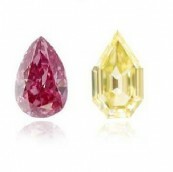 However, with Fancy Color Diamonds, the longer the light remains within the facets of the stone, the more the color is shown. 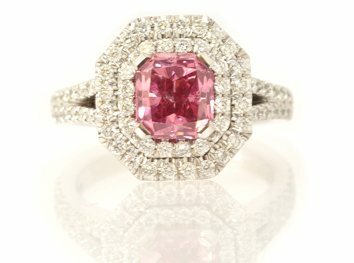 The cut in the Leibish Prosperity Pink enables the light to remain within the facets of the stone and shows an excellent vivid purplish pink color. The diamond cut is such a critical diamond attribute because how the diamond is cut and polished directly affects the sparkle and brilliance of the stone. While a rough diamond may be nature’s gift to earth, a cut and polished gemstone only comes to be when it has been carefully cut with the necessary tools, equipment, and knowledge. 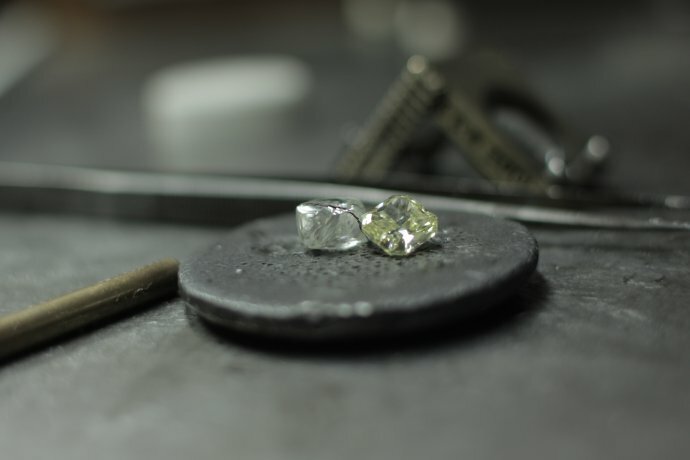 The cutting process is what transforms a rough stone into the faceted gem we recognize as a diamond. Though diamonds are loved for their perfection, they are not found in this state. A great deal of hard work needs to be done in order to produce a sparkling diamond from among any and all flaws within a rough stone. In addition to abolishing inclusions, the cutting process’s purpose is to create a shape for the stone, perfectly angled facets, and a high-quality smooth cut. Diamonds may be unearthed in mines dug in order to uncover these treasures that have been hiding for millions of years, but in order to achieve the final product, nature and man must team up. An experienced diamond cutter has to cut the diamond in the most professional and logical way possible. In order to do so, many aspects need to be considered from utilizing as much of the diamond as possible to creating the most profitable polished gems. Needless to say, all of this must be done as quickly as possible. Starting from a diamond saw or laser, and eventually moving on to a polishing wheel is how this incredibly hard mineral is cut. 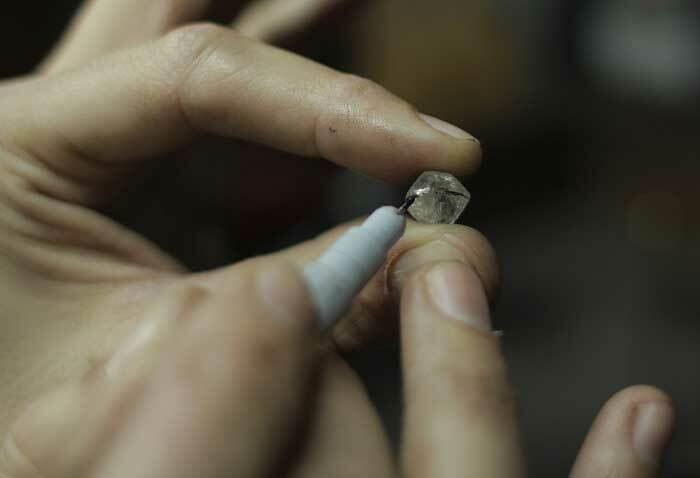 After a plan has been created and the rough stone has been cleaved (split into two pieces) or sawed, the diamond will go through the bruting stage where the cutter starts on its shape. Creating the ideal diamond cut, which will contribute to the diamond’s overall value, requires several elements. Firstly, a plan must be put in place to result in a satisfactory product. Special machines are used to analyze the diamond to see where and how to cut the stone. Secondly, when thinking of how to maximize the diamond’s value, cutting the rough into one stone, two stones, or more needs to be considered as well the weight of each stone. 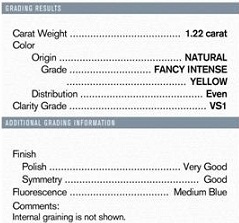 When cutting color diamonds there are different concerns to bear in mind. The angle of the facets themselves as well as the exact location of the cut can actually have a direct affect on the color of the stone, especially when cut into certain shapes. This is why a radiant shape, for example, which is often easier for the cutter to promote the color, is seen more often with color diamonds. 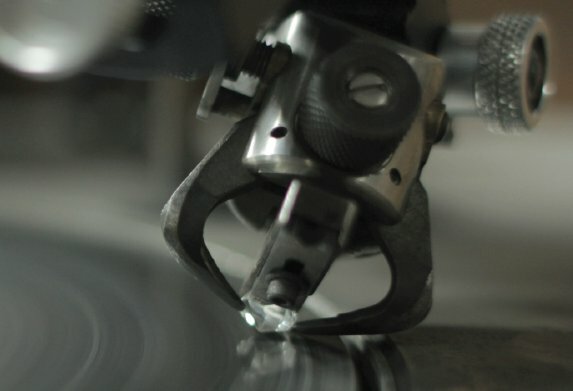 Depending on the achievable results, the cutter will determine when and where to sacrifice a stone’s size in order to improve its color or clarity. Time is an inseparable part of the cutting process as well since making the process shorter can potentially enable the owner to see profits sooner. Important decisions need to be made when debating between a profitable sale and a potentially higher quality stone with a longer cutting process. Although the term “cut” is often used interchangeably with the shape of the diamond, they are not one and the same. 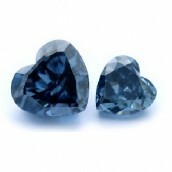 Nevertheless, they are both important aspects of the diamond and both need to be addressed properly. Diamonds are indeed cut into shapes such as round brilliants, pears, radiant, cushions, ovals, and more. However, this alone does not determine the cut, but rather, the way in which it is done. 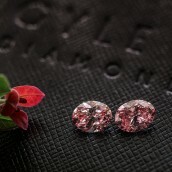 Some cuts such as the round brilliant demand an incredible amount of precision as it incorporates many facets. This is why it is the most popular shape for colorless diamonds. Other shapes, like the emerald, require special cutting techniques to create the “steps” that are part of a finished emerald diamond’s appearance. Furthermore, the facets should be as smooth and perfectly straight as possible. This is part of the difference between a poor, fair, good, or excellent cut. The polishing step is where the finishing touches are done, before it is inspected for the last time. At this point the diamond is thoroughly washed in special substances and is deemed either worthy or unworthy of manufacturer standards.